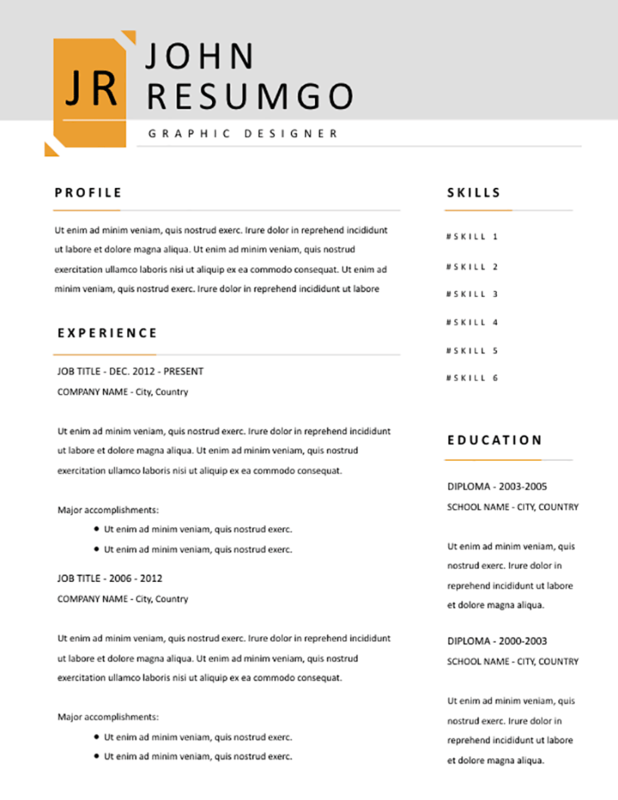 Xerxes is a free modern and simple resume template. Clean 2-column layout structure, with a gray header and orange elements. This resume template uses a full-width light gray header banner, where your name will be displayed beside an orange rectangle (for your initials). The main left part will focus on your profile/objective statement, and your professional experience. The secondary right part is for your skills list, and for your education.